A 1998 bay gelding by Brass and out of Silver and Sable (by The Chief Justice), Ames Cassanova is still rocking the arena today in the Country English Pleasure division. He started his career as a driving horse, bringing home countless regional championship titles as well as top ten awards from the U.S. Nationals, Canadian Nationals and Youth Nationals. 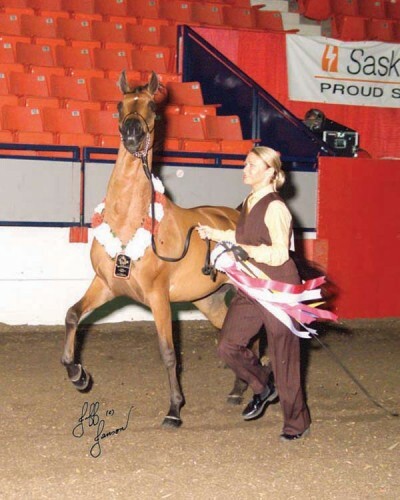 Ames Cassanova also won numerous titles in the Country English Pleasure division as well as in halter classes, where he was Reserve Canadian National Champion Adult Amateur Owner to Handle in 2003. Truly a diverse gelding, Ames Cassanova is a crowd favorite.